I did encounter that problem when smoking my brisket, my temp dropped by 50 F by the morning and it took me over an hour to bring back up the temp by opening the vents all the way. I didn't know why?! This has probably happened to any kamado griller who has done a few overnight cooks. You get everything stable and going well, take a nap, and wake up to find your temperatures have plummeted. There are a few things that can cause this. Ran out of fuel - highly unlikely. Every kamado that I have used is capable of going at least 18 hours at low and slow temps on a full load of coal. Fire burned out in a pattern. This doesn't happen often but I have seen it. Sometimes the fire burns into a weird pattern where parts of it aren't making good contact so it doesn't pass the fire on to the neighboring coal. So you have fuel left but the fire just burns out. Typically when I have seen this, the fire was started with a starter cube in the middle of the coal. The fire burns straight down leaving unburned coal on the sides. I light my fires in three spots around the edges so the fire will burn inwards and down. and this is exactly what the wiggle rod is for. 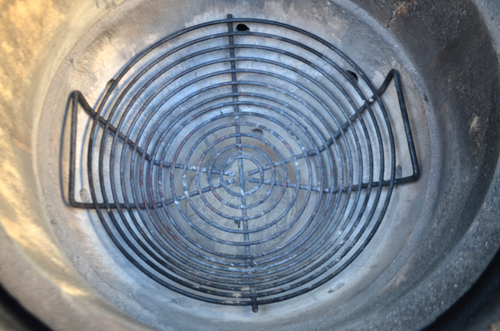 Stock charcoal grate from a Large Big Green Egg like Eger has. 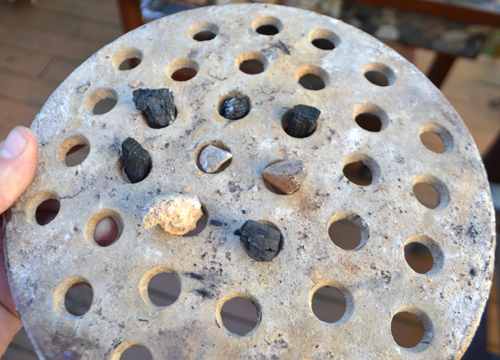 As the coals burn down, usually about 6 to 8 hours into a low temp cook, smaller coals and rocks may fall into the holes as shown above (I set these for demonstration). Ash then fills in around the debris and can block air flow. When enough of the holes get clogged, you will start to see your cooking temps fall because the fire is no longer getting the amount of airflow that it needs to burn. The fire is being partially smothered from below. This is where the wiggle rod can help, it's an instant fix for clogged charcoal grates. Would you mind elaborating more on the wiggle rob please? Did you make it yourself? are you accessing the egg from the bottom vent? or top? taking the grid off etc? To make a wiggle rod, I just take an 18-inch long metal bbq skewer and bend the tip up as shown. You can also use a coat hanger if the wire is stiff enough. You don't have to take anything out of the kamado. To use the wiggle rod, I access the cooking chamber by going through the bottom vent and then the vent hole of the fire box. This can be pretty hot so wear appropriate protective equipment when doing this on a live fire. You can't really see, so you are going by feel. 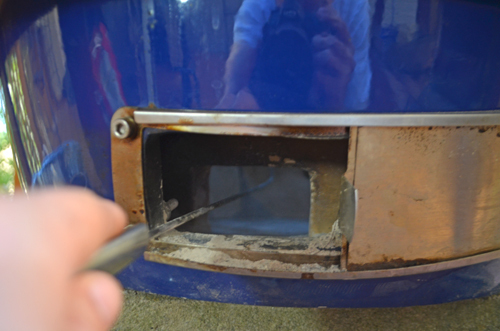 Have the tip angled up towards the charcoal grate and drag it along the bottom of the grate to find the holes. When you find one, poke the tip up and wiggle it to dislodge the coal, debris, and/or ash like this. When done, re-position your vents they way that you originally had them and you should see the cooking temps start to rise back up. The best way to minimize chances of these problems is to clean out your kamado grill before setting up for a long cook. I also try to put larger pieces of coal on the bottom and smaller on top, but not to the extent that I'm sorting coal. I'll just grab a few of the larger pieces out of the bag and then add the rest. Even doing this, you can still occasionally run into problems with the hole style charcoal grates. Some third party solutions also help avoid this. High airflow grates like Fishbones by Innovations by Chance and High-Que use durable bar style grates that are almost impossible to clog. I've used this one for over a year and I'm very happy with the results. Fishbones grate lets plenty of air through and doesn't have holes to clog in the first place. 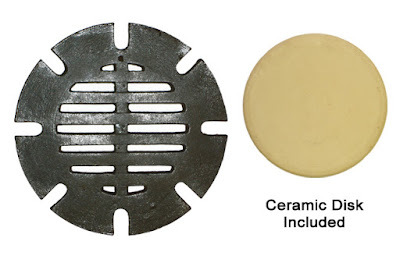 Grill Dome makes a high air flow grate for their awesome line of kamados and includes a ceramic disk to go on the base of the kamado as an additional heat shield from the higher temps. 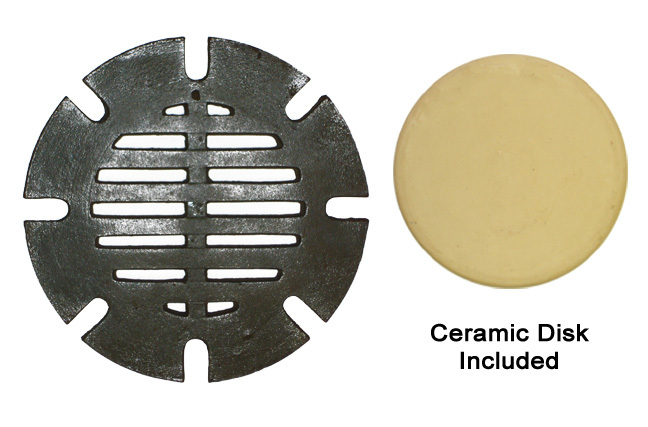 My BBQ teammate has suggested that ceramic plate would be a good idea for any other brand of high air flow grates. 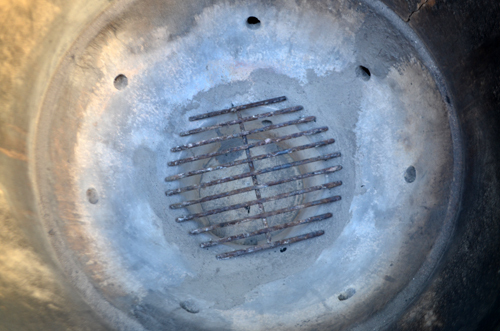 The Kick Ash basket is also eliminates this problem by eliminating the holes. We use 4 of these at BBQ competitions and at home. They also help us in getting the kamados cooled quickly after a contest or onsite event by getting the hot coals out and letting the ceramics start to cool immediately. Use a wiggle rod at the first sign of trouble. Thanks for the question, Eger! [Standard FTC Disclaimer] Grill Dome, Innovations by Chance, and Kick Ash Basket are product sponsors of Nibble Me This.